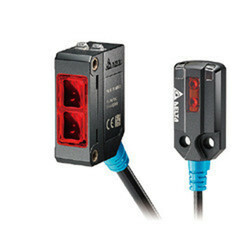 We are leading trader of Photoelectric Sensor. We have gained recognition as an eminent enterprise, devotedly engaged in offering a broad range of Photoelectric Sensor. This sensor is used in food and beverages, packaging, pharmacy, electronic component equipment, textile, rubber and plastics industries. Using quality approved material with the help of modern technology, this sensor is manufactured as per the set industry standards under the strict guidance of adept workforce at our vendors’ well-established production unit.